German Automaker, Audi would launch the updated version of Audi Q3 in India on June 18th. Changes in the new facelift is quite cosmetic. At the front, Audi Q3 facelift gets a restyled grille with a much wider chrome surround with larger air intakes. You can also expect the car to provide LED headlamps as an option. There would be new alloy wheels and taillights. At the sides of Audi Q3 facelift, the changes are very subtle which includes a new steering wheel, instrumentation as well as the updated MMI system. As of now, Audi Q3 is sold only in 2.0-litre TDI diesel engine in India; the Audi Q3 S and the 2.0 litre TFSI petrol version have been discontinued here in India. 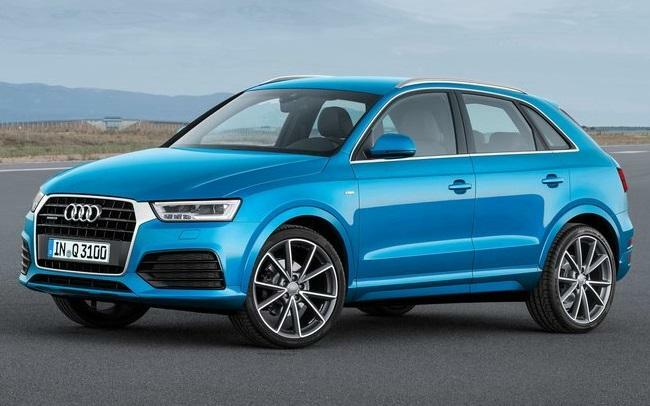 The Audi Q3 facelift would be offered in both the 2.0 litre diesel and the 2.0 litre petrol engines. They are mated to a 7-speed dual-clutch automatic transmission and would be equipped with the Quattro AWD system. The engines of Audi Q3 are tweaked to be a bit more powerful, and Audi also claims that they are tuned for improved fuel efficiency. The Geman carmaker might as well bring back the budget Q3 S which comes with a 6-speed manual gearbox and front-wheel drive setup. Audi Q3 is one of the company’s highest selling models in India, and it takes on rivals like the Mercedes GLA and BMW X1. The facelifted Q3 will be Audi India’s 5th launch this year. Audi has a plan to release 10 cars this year. Audi facelifted A6 should be next in the queue for launch which is going to be followed by the Audi Q7 during November. For more news and updates from GaadiKey subscribe to our newsletter or follow us on Facebook and Twitter.